Remarketing, also known as Retargeting, is the online marketing strategy of targeting visitors who have already visited your website with banner ads. Those who are perhaps not familiar with the practice may have noticed that banner ads from websites advertising products you may have searched for in the recent past seem to follow you around as your visit other sites in subsequent days. Remarketing can be a highly effective strategy for bringing visitors back to your website and has been proven to increase conversion rates by as much as 70%. Research shows that over 95% of visitors leave a website before making a purchase, and that nearly 50% of prospective buyers visit a website 2-4 times before actually purchasing. For tutoring and test providers who have shopping cart functionality on their websites, it is important to know that on average shopping carts are abandoned 68.08% of the time, and that customers do not purchase over 60% of the items left in their shopping carts. Remarketing has been proven to dramatically decrease shopping cart abandonment and increase shopping cart conversions. Remarketing can also prevent the loss of potential customers who visited your site and have forgotten your brand name or who use a search term at a later time with which you do not rank as highly and don’t appear on the first page of organic or sponsored search. It also keeps you top of mind, as increasingly distracted potential customers will be reminded of your service or product. In this guide, we will cover the basics of Google Adwords remarketing. In later posts, we will explore other forms of remarketing such as Search Remarketing, Social Media Remarketing, and Email Remarketing. If you’d like to run a remarketing campaign to display banner ads to people who have previously visited your website, you'll need a remarketing list. A remarketing list is a collection of cookies from people who visited your site. Creating the list is one of the most important steps in setting up a remarketing campaign because you will will utilize this list to target your ads. You can start creating lists at anytime, but they'll only start getting visitors after you've placed the remarketing tag (a small snippet of code) on your website. In the "Audiences" section, go to the "Remarketing tag" box at the top. Click View remarketing tag and instructions to get the remarketing code snippet you'll need to add later to your site. With Google Analytics, you’ll have the option to use the tracking code that’s already on your site instead. To get this set this up, read these instructions. For more detailed instructions, read Remarketing tag validations and alerts. Copy the remarketing tag code and paste it at the bottom of all pages, before the closing "</body>"tag. Once the tag is published in your website, the next step is to create remarketing lists in AdWords. For example, you'll be able to create a remarketing list for the people who visited the "SAT Prep" section of your site by defining a list like this: "URL contains SAT Prep." If you use a Google Merchant Account. you can use dynamic remarketing campaigns, and in order to do so you'll need to follow Google’s instructions. Tip: Add the remarketing tag to all of the pages of your website. You may then easily create lists for any pages without ever having to add more remarketing tags. If you can't add the tag to your entire site, you can still add it to specific sections of your site and then define lists for each of those sections based on their corresponding URLs. Click Shared library in the side navigation bar. Click the View >> link under "Audiences." Click the View tag details button in the "Remarketing tag" box above the statistics table. At the bottom, you'll see the date when the information was last updated. Here are some remarketing best practices that we have found can have a significant effect on the ROI of your remarketing campaigns. Craft multiple banner ads that are customized to the purpose, course type, and user. Don’t just use one generic banner ad for all of your tutoring company’s services. 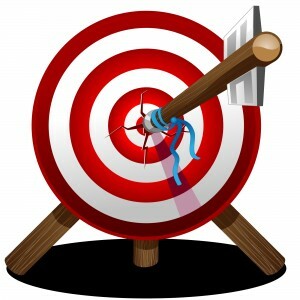 One very actionable remarketing strategy is to target visitors to your competitors’ websites. One highly effective strategy that we have employed is to create a vs. banner ad that led to a landing page that gave a graphical representation of how the two companies stacked up with an emphasis on our advantages. You can list your advantages and entice your rival’s potential customers to visit your website and purchase or give you a call. You can optimize bids for your existing keywords for visitors on your remarketing lists. For example, you might increase your bid by 20% for those who previously viewed your website over the last 14 days. Or, you can show a different ad to website visitors who have placed products or services in a shopping cart but have not purchased. You can bid on keywords that you don't normally bid on just for recent visitors to your site, or for visitors that have converted on your site in the past. This can help you increase your sales. For example, you could bid on generally more expensive, generic keywords only for visitors who have previously purchased from your website. Frequency capping is a feature in Google Adwords that limits the number of times that a unique user sees your display ad over a given time period. When you turn on frequency capping for a campaign, you set a limit for the number of impressions you will allow an individual user to have per day, per week, or per month. You also choose whether the limit applies to each ad, ad group, or campaign. To get started, go to your campaign's Settings tab. Under "Advanced settings," click Edit next to "Frequency capping." It is important that you set and test frequency caps to make sure that they are running optimally. Create a remarketing list for visitors who didn’t complete a purchase, and create targeted ads with calls to action such as 20% off if you buy before 11/1 or whatever would work well for your business. Tutoring, test prep, and educational services companies can use remarketing to gain more customers, increase brand awareness, or lure away their competitor’s customers. Remarketing is one of the more cost effective AdWords strategies, and can turbocharge your sales in a short period of time. We hope that you enjoyed the post. Please let us know how things go! Share the post "How to Use Remarketing to Turbocharge your Tutoring Company’s Sales"